A Feature Rich WiFi network based Remote Power Switch. 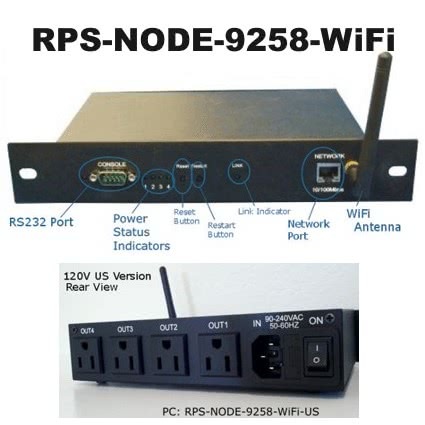 Allows you to wirelessly connect a 4 Port remote power control device to your 802.11 b/g Network using WEP Based Encryption for a cable free environment. 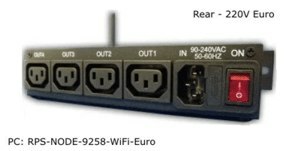 Utilize your WiFi network for power control of your critical equipment or use your Cellular WiFi Hotspot to place a remote power switch at any location. Use your Cellular WiFi Hotspot to place a remote power switch at any location. Integrated HTTP Command Line Generator for direct browser or programming control. Programmers can control the remote power switch within your custom designed program. Wireless Operation allows for WiFi control and network cable free environment for power control. Remote access from the internet using any web browser allows reboot from any location saving costs associated with a technician going to the site. 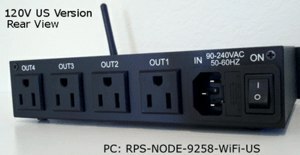 Our RPS-ERP-II unit is a 4 port remote power switch accessible through standard network cabling.